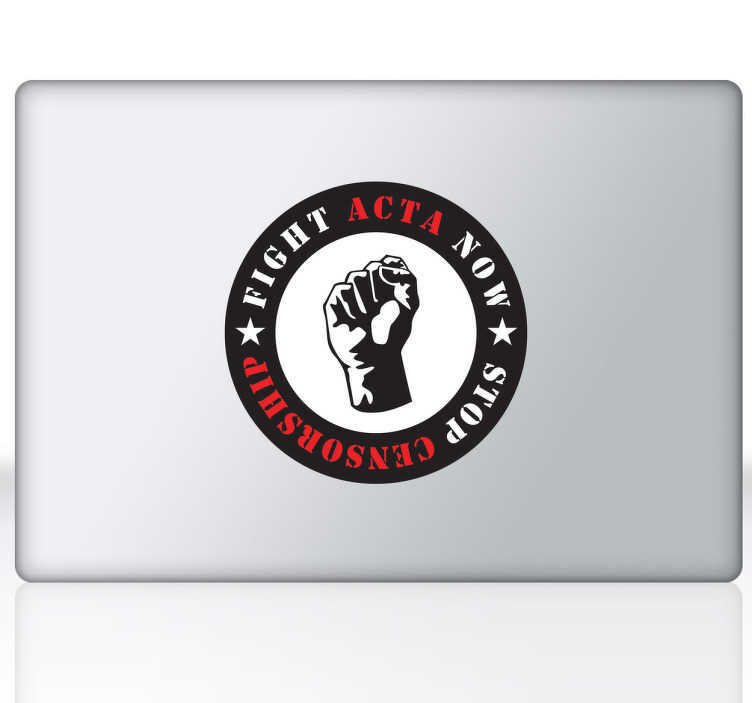 This laptop sticker illustrates a logo with the text 'Fight ACTA Now, Stop Censorship' and a clenched fist in the middle. Are you against ACTA? Decorate your laptop in a unique way with this vinyl decal for your device. Personalise your macBook and stand out from the rest!